First, the best image viewer ever. Get the clearest possible view of your image. A native Mac look and feel, and full support for all the latest Mac technologies. Use every inch of your Mac display by editing in full screen. Use Pixelmator Pro and any other app side by side in full screen. Edit as many images as you want in a single window. View and restore past versions of your documents. Compatible with all the most popular image formats, including Photoshop images. Ensure the colors in your images are displayed accurately across all devices. Detailed information about your document. Undo all your changes even after closing documents. See handy live previews when formatting text and changing layer blending modes. Get quick access to all your Pixelmator Pro tools using the Touch Bar. Machine Learning-enhanced, GPU-powered, 64-bit image editing. An app icon designed to fit beautifully in your macOS Dock. Simply the best way to purchase, download, and update Pixelmator Pro. Designed to put full focus on what matters most — your images. Pixelmator Pro features a new, user-centered interface that strips away all unnecessary ornamentation. Designed exclusively for working with images, the elegant single-window design allows you to focus on your compositions in a beautiful and intuitive editing environment. And meticulous attention to the smallest details means even simple edits become more engaging. The elegant single-window interface puts all the tools you need in just the places you expect to find them. With just one window for all your tools and the image you’re working on, image editing in Pixelmator Pro is simpler than ever. A carefully crafted, user-centered interface means Pixelmator Pro feels intuitive to anyone, whether you’re just starting out with image editing, or you’re a seasoned pro. 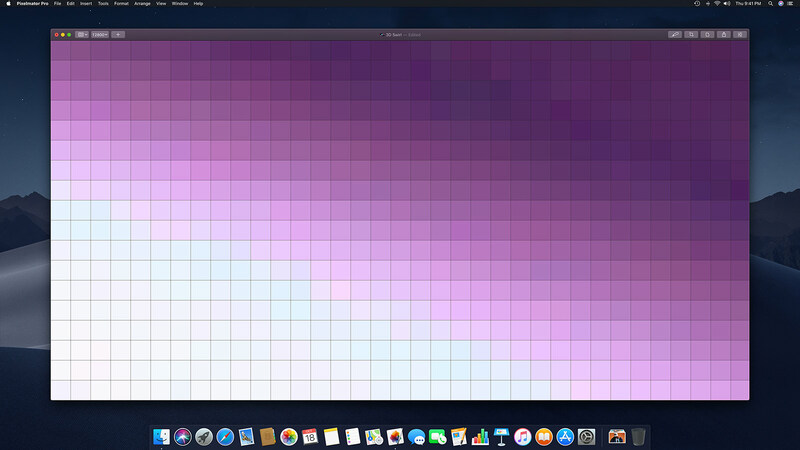 Thanks to its simple workflow, Pixelmator Pro is both easy to learn and easy to use. 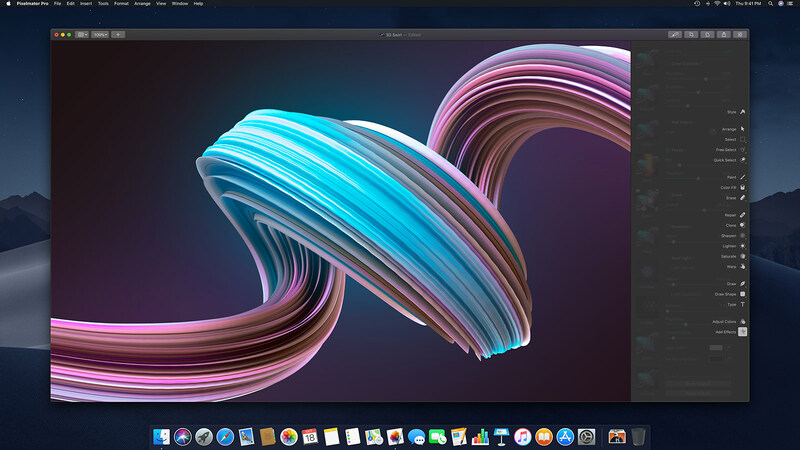 Pixelmator Pro features a clean and refined design, without any clutter and unnecessary ornamentation, such as shadows, separators, lines, and other decorative elements. A more consistent look and feel makes editing images in Pixelmator Pro both easy and intuitive. A beautiful dark interface makes your images the centre of attention, putting tools and the interface itself in the background. Created exclusively for working with images, it allows you to focus on your content in a professional image editing environment. A beautiful streamlined toolbar frees up even more space for your images while keeping all the most important document controls easily accessible. Translucent parts of Pixelmator Pro give you a glimpse of your image if any areas are hidden behind the interface. Pixelmator Pro is designed exclusively for the high-resolution Retina display. Because it takes advantage of the additional resolution available on Retina, every detail appears sharp and vibrant. And a clean and refined design means Pixelmator Pro also looks great on non-Retina displays. In Pixelmator Pro, every bit of screen real estate is used efficiently. No matter how large your screen is, all your tools are easily accessible and your entire image is easily visible. 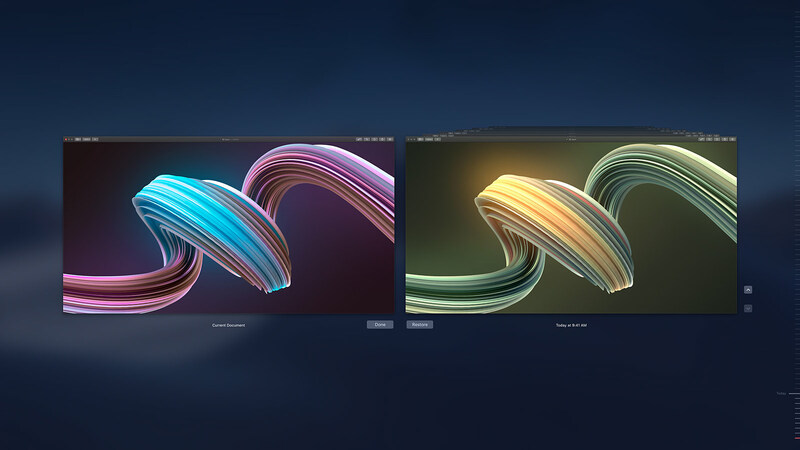 So Pixelmator Pro looks great on any display — from the smallest MacBook to the largest 5K iMac. Subtle, meaningful animations make even simple edits more engaging. Change the value of a text field by scrolling inside it and see all your changes live. Not only is scrolling faster, just like elsewhere in macOS, the harder you scroll the more momentum there is — so it’s also more fun. The Effect Rope makes it easier to keep track of every effect applied to your composition. It shows you an effect is currently editable and lets you customize the effect directly in your image. Hundreds of easy to understand tooltips give you quick and simple explanations about the tools, sliders, and buttons in Pixelmator Pro. Pixelmator Pro has been designed and developed with a meticulous attention to every detail — from the way each tool works to the look of the icon. Even the About Pixelmator Pro window has something special about it. The best image editor starts from being the best image viewer. Thanks to a groundbreaking Zoom Engine, Pixelmator Pro delivers an incredibly responsive and smooth image viewing experience. So you can navigate around compositions large and small with no perceptible delay. And your images always look crisp and clear, no matter what zoom level you view them at. The technical engineering behind the Zoom Engine is seriously sophisticated. By harnessing the power of the graphics processor in your Mac, Pixelmator Pro lets you zoom and scroll with no perceptible delay, even in large and complex images. The Pixelmator Pro Zoom Engine includes a range of technical advancements for displaying images at different zoom levels, so your images always look crisp and clear, no matter how much you adjust the zoom. When editing a document that’s especially long or wide, Pixelmator Pro centers it, letting you easily scroll up and down or left and right, without accidentally hiding too much of the image beyond the canvas. And if you zoom in, you can also scroll past the canvas to easily work on the edges of your document. Use the classic Zoom Tool to easily focus on a very precise section of your document by dragging over the area on which you want to zoom in. Hide every part of the Pixelmator Pro interface to get the clearest possible view of your image and work on it without any distractions. 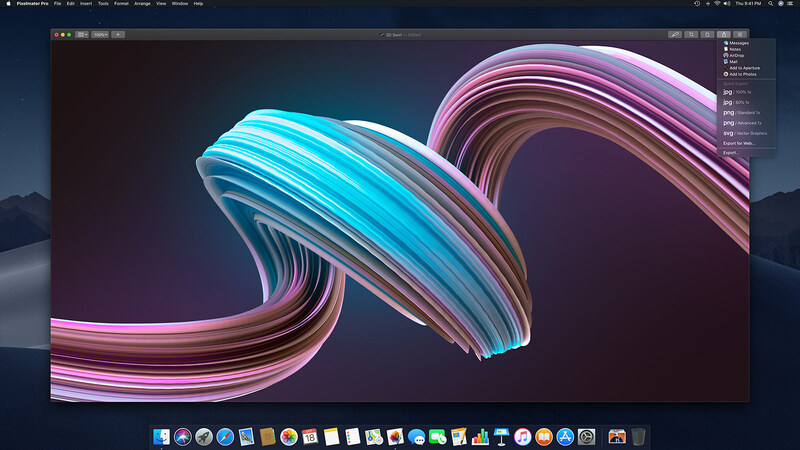 Pixelmator Pro is built exclusively for the Mac. And it shows. Maintaining all the elements essential to the Mac experience, it delivers a completely native Mac look and feel. And it includes full support for all the latest Mac technologies, such as iCloud, Tabs, Touch Bar, the Force Touch trackpad, and many others. Take advantage of every inch of your display by editing your images in full screen. 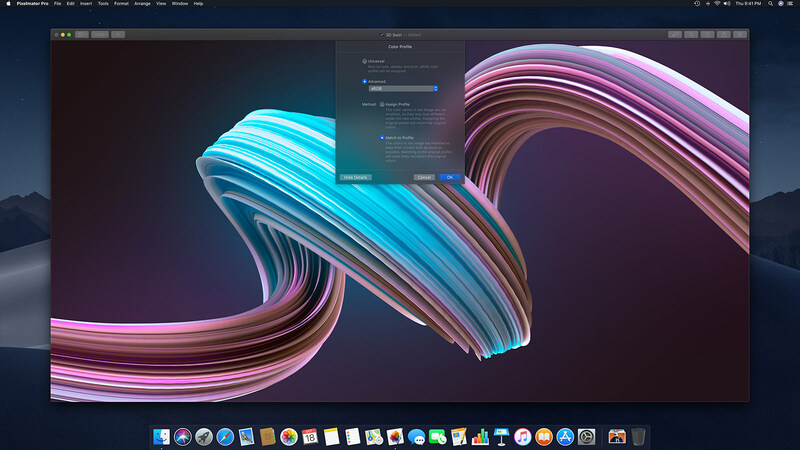 Pixelmator Pro provides the native macOS full screen experience, including support for Split View. Use Pixelmator Pro and any other app, side by side in full screen. 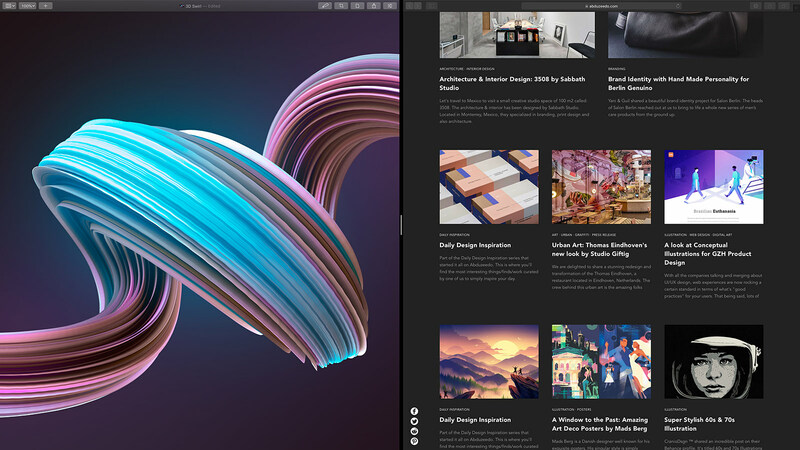 With Split View, you can put Pixelmator Pro on one side of your screen and, say, Safari on the other, having both apps take up all your Mac display. So you can quickly search for images and graphics in Safari, and drop them right into Pixelmator Pro, without any other apps distracting you as you work. Use tabs to work on as many images as you want without multiple windows piling up on your Desktop. See a neat thumbnail overview of every tab in your current window, then click on a particular thumbnail to quickly switch to that tab. If you fill up your tab bar, certain tabs will be bunched up to display the name of each document clearly. But just like in other macOS apps, you can scroll through the tab bar to see any tabs that are out of view. View and restore past versions of documents. With full support for the macOS Versions feature, you can browse and revert to any previous version of your image any time you want. Easily share all the images you edit in Pixelmator Pro in all the most popular image formats, such as JPEG, TIFF, PNG, SVG, and even Photoshop images with layers. You can also open and export images in the new, much more efficient HEIF format. And the native macOS Share menu gives you a ton of ways to share your images directly to your favorite apps and services. Support for Photoshop images with layers lets you open and save images created in Adobe Photoshop, while retaining every layer in the original image. So it’s easy to work on the same images, even if you use different apps. Using Pixelmator Pro, you can open and export images in the all-new High Efficiency Image File Format (HEIF), a much more efficient format that uses modern compression techniques to drastically reduce file sizes without affecting quality. Use the macOS Share menu to export your images, save them directly to your Photos library, attach them to Mail messages, and post them to social networks like Twitter or Facebook. Pixelmator Pro takes full advantage of the standard color management available in macOS. This ensures that your images will be accurately represented on all the devices they’re viewed on. In addition, Pixelmator Pro also includes support for wide color images and displays, so the vibrant colors you shoot are the same colors you see on your screen. Pixelmator Pro features full support for wide color images and displays. Thanks to the additional colors and vibrancy available with wide color, the colors you shoot are the same colors you see on your screen. The File Info window displays detailed information about your current document, including the extended metadata included with every photo captured by a digital camera or smartphone. And you can even add additional information about your images, such as descriptions and keywords. Undo every change you make, even after closing documents. Permanent Undo lets you undo edits even after you close and reopen images because every change you make is permanently saved together with your document. Pixelmator Pro is a fully nondestructive image editor. With a nondestructive workflow, your original images are always preserved and you can undo or adjust specific edits, without having to undo any changes you made later on. As you browse font families, typefaces, sizes, and layer blending options, you'll see a preview of all the options you hover over — live in your image. Which makes finding just what you're looking for just that much easier. Get quick access to all your Pixelmator Pro tools. Pixelmator Pro includes full support for the MacBook Pro Touch Bar, giving you quick access to all your favorite tools and all kinds of useful options. So you can quickly change tools, apply color adjustment or effect presets, select colors for your brushes, and even share your image — all right from the Touch Bar. The 64-bit image editing engine in Pixelmator Pro is seriously powerful and sophisticated. Enhanced by machine learning, it’s powered by the graphics processor in your Mac, in tandem with advanced Mac graphics technologies such as Metal 2 and Core Image. So every tool is blistering fast. Core Image improves the color detail and quality of each Pixelmator Pro tool. 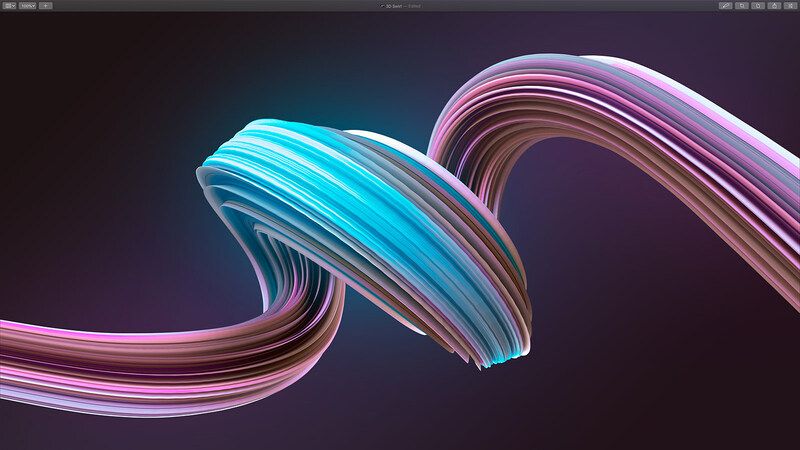 With OpenGL, Pixelmator Pro brings blazing fast, hardware-accelerated editing. Using machine learning, Pixelmator Pro brings more intelligent image editing. With a 64-bit architecture, Pixelmator Pro utilizes all the processing power your Mac can deliver. beautifully in your macOS Dock. 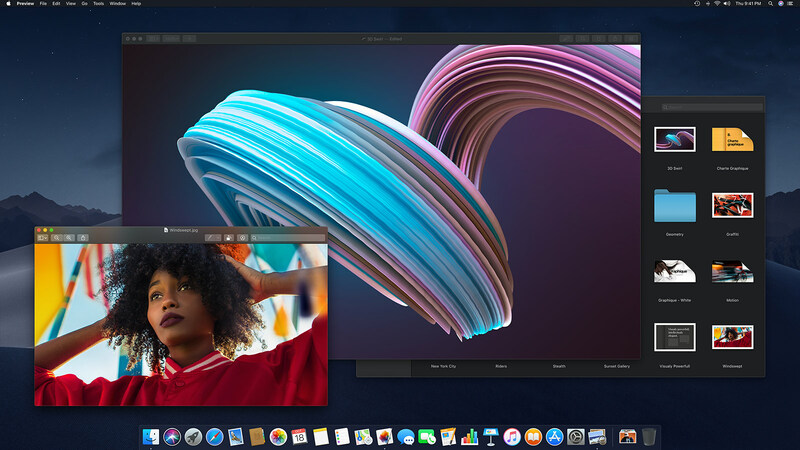 Pixelmator Pro has a stunning, macOS-inspired interface and user experience. And a beautiful icon specially designed to reflect that. Visually consistent with other default Mac apps, the icon tells you that Pixelmator Pro is a completely native Mac image editor. from the Mac App Store. Pixelmator Pro is available exclusively via the Mac App Store. The Mac App Store is simply the best way to purchase, download, redownload, and update Pixelmator Pro on your Mac.